The LYNX Trading Platform has already been awarded prizes several times for its reliability and technological superiority. The LYNX Trader Tools have undoubtedly contributed to this success. The tools allow you to make the best use of every opportunity that arises on the stock exchange. Do you wish to place orders and close positions extremely fast? Then BookTrader is the right tool for you. In short: the ideal trading tool for all future and daytraders. It only takes two clicks to place an order via the deep book, which sends the order directly to the stock exchange. Everything an option trader could hope for. 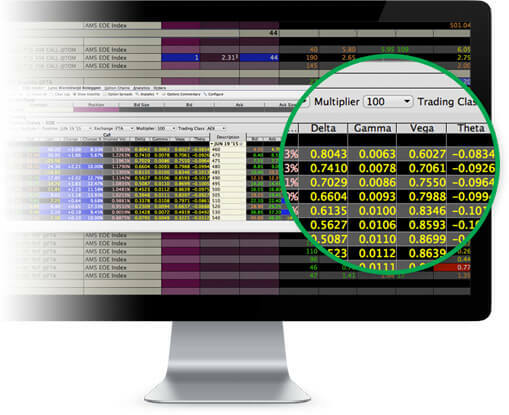 OptionTrader is a handy tool for both starting and more experienced option traders. 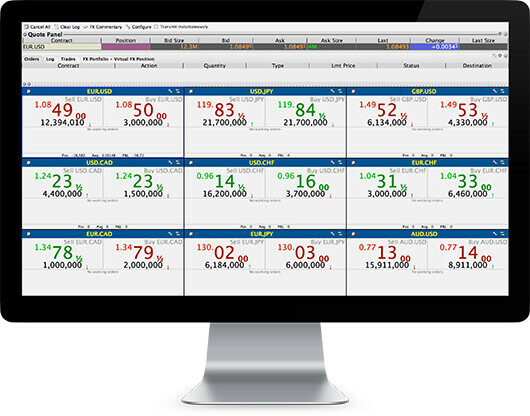 Quickly analyse the risks, and place orders and combination orders. All options Greeks are displayed continuously. What could be more efficient and easier than that? Why pace several orders, when you can do everything at once? 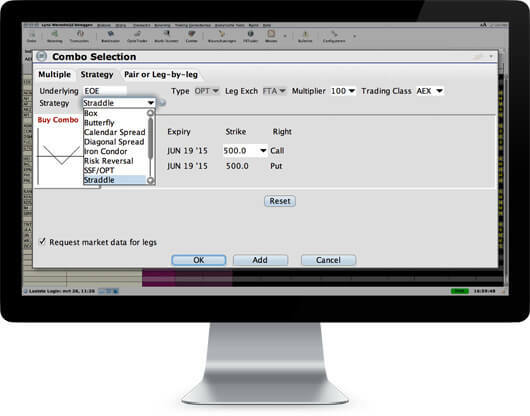 This tool is ideal for traders wanting to send complete option combinations to the exchange. Don’t wait until your order is filled leg by leg. As soon as your order is filled, you can be certain that the entire combination was bought. This way you can easily place any option combination: Straddles, Strangles, Butterflies and many more. FX Trader is the optimal tool for active forex traders. With just one click you can trade in more than 80 different currency pairs. 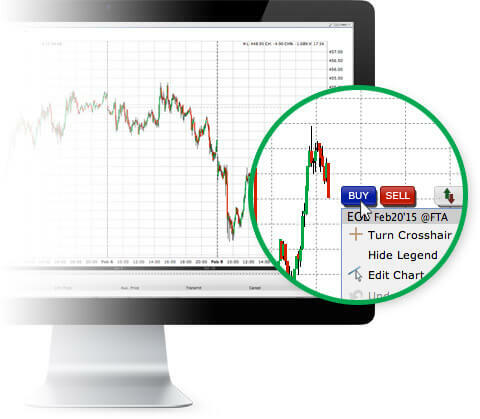 Create your own Forex trading screen and select the currency pairs which you would like to trade. Respond immediately by placing, changing or cancelling orders. 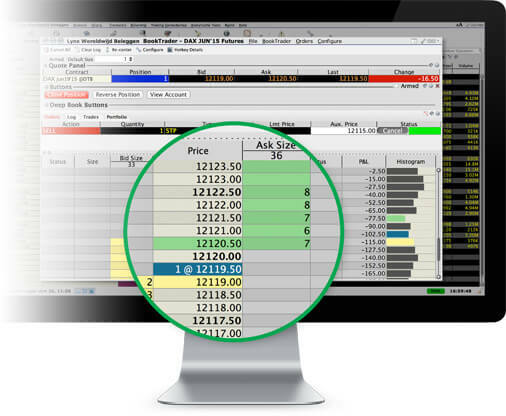 Nothing could be easier: Chart Trader allows you to place, change or cancel orders directly in your real-time chart. You can therefore immediately respond to price movements. See an interesting technical level? Place your order on this level in the chart. MarketScanner gives you access to an unique tool that provides a clear overview of all relevant stocks. 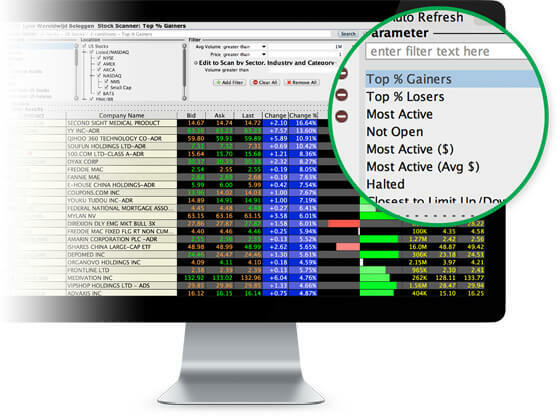 Select the market you wish to scan and enter filters and parameters to look for promising shares. You can then search, for example, for the most traded shares, the biggest gainers and losers, or the shares with the highest dividends.